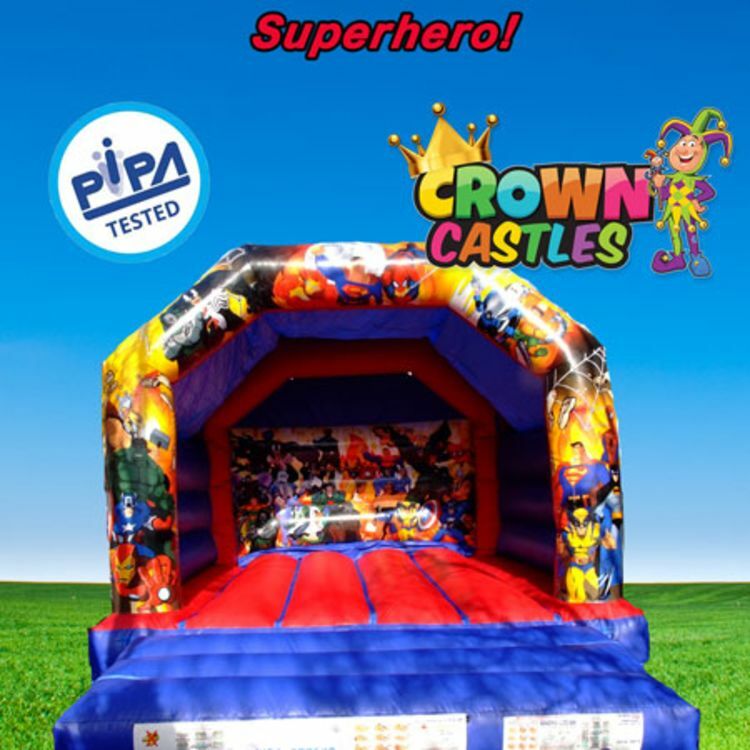 Our superhero Themed Bouncy Castle is guaranteed to be a winner at any party or event. Watch your very own little superheroes "lift-off" with their imagination on this bouncy castle. It is very popular for birthday parties - weddings and events and of course Superhero fans. With its extra long bed compared to our other bouncy castles you can be sure the kids will enjoy the extra bouncing space. Comes with all accessories, including safety mats and built-in shower cover. Please be sure to always check the size of the area required and if hiring out a venue always check the ceiling height.